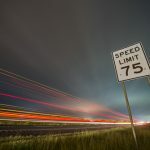 The Michigan Department of Transportation (MDOT) is working to make Michigan roads safer for bicyclists by installing bicycle lanes on some roads. These lanes are intended to keep cyclists unscathed as they travel about, and they provide alerts to motorists that there will be bike traffic in that area. Increasing driver awareness of the presence of bicyclists is one of the best ways to prevent bicycle accidents, but motorists must also be willing to share the road. Every motorist has found themselves cursing under their breath about a bicyclist who takes up their lane, causes them to swerve out of their lane, or forces them to drive below the speed limit. Cars and bikes pose threats to each other if both operators do not follow the laws established for safety. Establish order and enhance safety with a designated place for bicyclists. Bike lanes also further the development of Complete Streets, as promoted by state law and the State Transportation Commission policy. Complete Streets is intended to make roads accessible to autos, bicycles, and pedestrians, and all types of roadway users are taken into consideration in the planning and design phases to see if special accommodations are necessary for safety and ease of use. Bike lanes are usually on the right side of the road. The bike lanes have bicycle pavement markings and arrows to direct cyclists in the direction they are permitted to travel. Buffered bicycle lanes have a buffer space that runs parallel to the left side of the lane and the bike lane, separating the bike lane and vehicle lane. Separated bike lanes are like a buffered bike lane, but with a barrier – such as vertical posts, a curb, planters – between the lane and the car travel lane. A bike box is used at intersections to make bicyclists more visible to drivers and to create a space in front of a travel lane and ahead of stopped motorists. Here, bicyclists can wait for a green signal and get a head start ahead of motorized traffic to reduce conflicts with turning vehicles stopped at the same signal. Green pavement markings bring attention to bicycle transition areas and possible conflict points. Obey the rules of the road as any vehicle operator would, including traffic signs and signals and lane markings. Use hand signals to indicate turns or slowing or stopping. Wear helmets and reflective clothing and have headlights and rear reflectors. Stay as far to the right as practical. Not ride more than two abreast in a single lane. 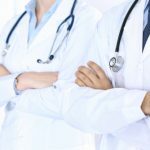 Bicycle accidents are not as common as vehicle accidents, but when a bike accident occurs it can be horrific, causing traumatic brain injuries or wrongful death. 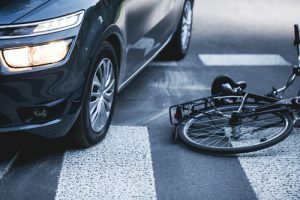 Bicyclists have little protection in the instance of a wreck, particularly when the collision is with a motor vehicle, whether it is in operation or parked. If you have been involved in a bicycle accident, contact Thurswell Law for a free consultation to discuss your case with one of our experienced bike accident lawyers. You may be entitled to compensation for your pain and suffering and lost wages. We do not charge any fees unless you collect. Call (248) 354-2222 today.